…or not doing as you are told. There’s a contradiction in child-rearing. We want our offspring to be perfectly behaved, polite and compliant children always doing as they are told and then, magically, we expect them to make their way in the world as confident, competent adults, capable of making good decisions, standing up for themselves, entrepreneurial, imaginative, daring and brave. I don’t think both halves of this equation balance. My upbringing was the old-fashioned kind, about conforming to rules and rote learning and I find this has repercussions that creep up on me at the strangest times – including when I bake. I like brown bread but my teens prefer white so when the Fresh From the Oven challenge gave a white sandwich loaf (recipe courtesy of Michel Roux Jnr nonetheless) I just cracked on and stuck to the basic recipe. Except I didn’t go out (in Dubai summer temperatures of 40 C) to get fresh yeast, I used dried from my cupboard. The difference is that both fresh and dried active yeast needs activating before using (with warm water and, for fresh yeast, sugar or honey). Fast-action (also known as easy-blend and quick) yeast simply gets stirred into the flour. Active dried yeast and quick yeast look very similar – in fact I thought they were the same until I started baking with the Fresh From the Oven group. So for this loaf I knew I had to change the instructions and stir my active dried yeast into the warm milk to re-activate it. White loaf accomplished, sliced up, toasted, slathered in Marmite. Hmmmm….what should I do now? There were teens in abundance hanging out for the weekend, foraging around the house, doing that random ‘open-the-fridge-and-peer-inside’ action they do so well. In a fit of nurturing I found a chocolate cinnamon bun recipe (from Poires au Chocolat) that I thought they’d love. The recipe for the dough wasn’t a million miles from the loaf but did I engage brain this time? No I did not. I simply followed the instructions. I knew as soon as I saw the lumpy bits of yeast in the dough that I’d made this mistake – the dried yeast in the recipe was assuming the quick kind. So instead of buns for that afternoon, 24 hours later and two long, long proves, some less than fluffy buns were served to, I must say, an appreciative audience. The glaze of butter and sugar that caramelises on the base of these buns or the deep chocolate flavour spiced up with cinnamon might have had something to do with their disappearance. So the moral of this story…remember which yeast you are using when baking…and don’t always do as you are told (unless you are my daughter and I’m telling you to take the dog for a walk, make your bed, do your homework…). You can find the recipe for the sandwich loaf (by Michel Roux Jnr for the Great British Food Revival) here. Another nice easy white loaf recipe here. Super chocolate cinnamon rolls recipe from Poires au Chocolat here. And some other lovely cinnamon buns here. Oh and do pop over to see what the other Fresh From the Oven bakers have done with this white loaf recipe here. Gosh I can’t believe I brought some new info to you about baking Celia! Oh man, this made me hungry!!! Making our own loaf has been in my list but never got a chance to make one. Can we get fresh yeast here? Park n Shop sell fresh yeast – just ask at the bakery counter. This is a good loaf to start with or the other loaf I mention. Take the plunge you’ll never look back – nothing beats serving up freshly cooked bread that you’ve made yourself. So there’s park n Shop in Dubai too? In Nigeria, we have a few stores – looking forward to visiting them after 44 years!! You’re white loaf looks gorgeous! I can never find fresh yeast where I live 🙂 I am going to try the chocolate with my cinnamon buns! Lovely pics too. I want to try making those cinnamon rolls! Tandy and Fatma – a tip to try if making the cinnamon and chocolate buns. I didn’t have any chocolate chips and was in a hurry so blitzed the sugar, cinnamon and a bar of chocolate together in my Braun multiquick jug. It meant that they were some larger pieces and some very fine pieces of chocolate which really worked in this filling. Great post Sally. Glad your loaf turned out well anyway! Thanks for stopping by my blog Sally, it’s been a bit neglected of late but I’m hoping to rectify that (got lots of ideas for posts in my head – first one the food in Tuscany). 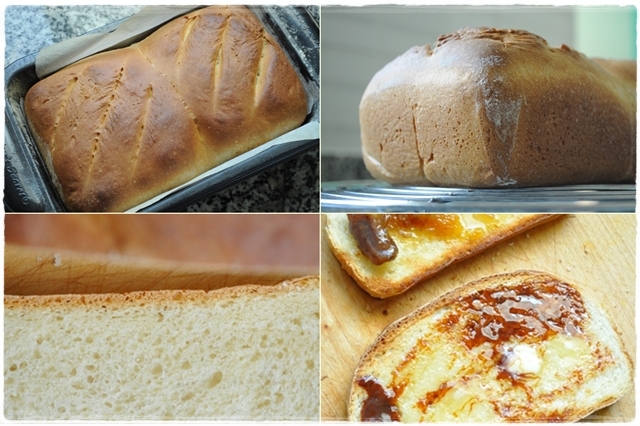 Love that top photo – your bread looks perfect! I forgot again this month! And had no idea about dried and quick yeast. I have a feeling that I activate my quick yeast anyway, even though I usually bake with sourdough. You must must must visit the Nordic Bakery for their cinnamon buns! OHHH NOOOO. YOU DID IT AGAIN. The last time you posted a baked sweet bread/pastry type recipe (remember those coy cinnamon buns) I had a week-long fit of sweet home-made carb craving. And now you’ve gone and resurfaced it all over again. Such posts should come with a carbo-lover craving warning up top. Your photos look so deliciously good! Your household seems varied enough that white bread will be eaten up quick enough, teens are great for that. Where I live I am able to get all three kinds of yeast; fresh, active dry, and quick rise. I do tend to “activate” them all in the recipe liquid (depending on the desired dough temperature.) Though when I am in a doesn’t-matter-kind-of-baking, the instant/quick rise goes in with the flours. And then to comment on the buns, . . . . ahhh, cinnamon and chocolate . . . mmmmmm. 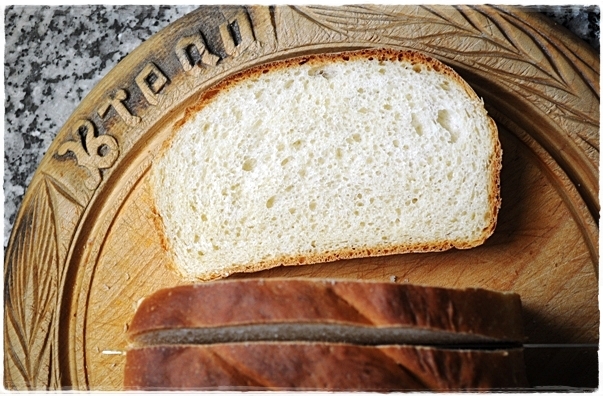 The white loaf looks wonderful – perfect mie (interior). And children….and choices….and chores! Sigh! Strangely though, I have stopped activating my fresh yeast as I’ve found that (in the last 5-6 months) when making bread dough with it, it made no difference to the final results (re: my chile pretzels/chia loaves). I tend to mix the fresh yeast with water/milk and sweetner and then add the flour and other ingredients and mix straight away. And I’ve never had an issue. Great loaf. I’m sure the smell of bread baking was irresistible to the teens too. I’ve never actually seen fresh yeast lol. request a locally manufactured product. According to your choice and needs you can choose among these four types of doors.